My kids are difficult to please so I rarely experiment with new dish in the kitchen. But last week, I was able to cook a dish that earned two thumbs up from my picky eaters. They love this dish called sinuam na mais at hipon. It’s a creamy combination of corn kernels, shrimp and malunggay leaves. The ingredients are simple and the procedure is easy to follow. Saute garlic and onion. Add shrimp and grated corn. Add water and let it simmer for a few minutes before adding malunggay leaves. Season to taste. 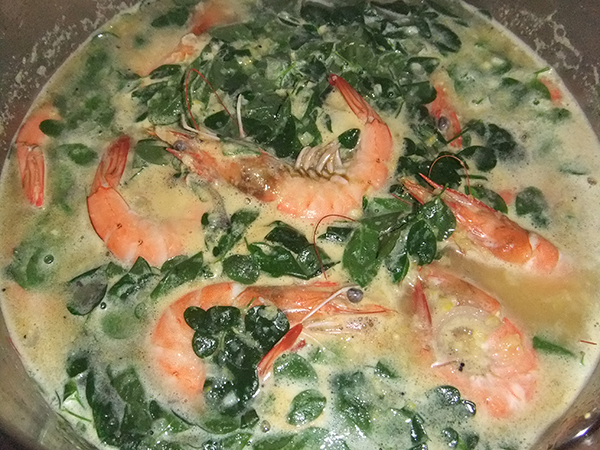 This entry was posted in Recipe, Sea Food and tagged creamy corn soup with shrimp and malunggay leaves, sinuam na mais at hipon on April 18, 2014 by Yami. We have several pets at home. We have a dog, cats, and a fish. The fish is given the food intended for it. The dog and cats, on the other hand, are given the same food that we eat. We tried giving them dog food and cat food, respectively, but they don’t like it so they end up eating the same food that we have. We used to give our dog vitamins but he’s too smart to notice the vitamins mixed in his food. We haven’t tried renavast for cats because thankfully we don’t need one for them. The cats are as healthy as their brother Oreo. This entry was posted in Pets and tagged food for cats and dogs, nourishment for pets on April 15, 2014 by Yami. Of course, even though wine is made to be enjoyed and drunk, understanding it is a totally different matter. AskMen.com actually puts it succinctly into words with “Aside from public speaking and bad turbulence during a flight, few things cause more fear in a wide range of men than wine tasting.” People are often worried that they might be doing something wrong, or that their opinions don’t agree with the general consensus. This is a common problem, especially among Filipinos. Filipinos aren’t really big wine drinkers, and most would just settle for a cold glass of coke or beer at the dinner table, and bottles of wine were reserved for special occasions and holidays. 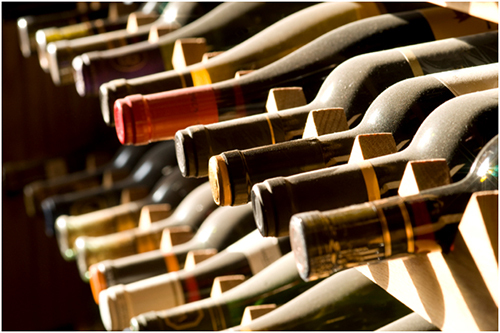 As wines grew cheaper, however, more Filipinos gained access to them, and many began to explore the delicate, intricate flavors of the many kinds of wine available. Last year, M&S held free wine tasting events in some of their branches in Metro Manila, allowing lucky customers to learn from wine expert Chris Murphy himself. This marked the beginning of a renewed fervor for wine in the country, and now, many people have begun experimenting with food and wine pairings. Red wine usually goes with dark meat, as the flavors of the two meld together and you don’t run the risk of one overpowering the other. Try sipping a decadent red wine with pork adobo, beef steak, binagoongang baboy or sisig. White wine will go great with lighter dishes and white meat. Drink some white wines when you’re having fried fish, rellenong bangus, or sinampalukan and pininyahang manok. As for desserts, heavier wines go with desserts that are thicker in consistency and denser in flavor. Reds will go with chocolate cakes and puddings, and whites will go with tarts and pies. Once you’ve gotten a feel for the many different wine pairings and have tasted some wines, you can then begin to experiment — not just with food and wine pairings, but also with using wine in your cooking! This entry was posted in Food Preparation Tips and tagged all about wine, wine on April 7, 2014 by Yami.